Hello, readers. I have a new book to recommend to you today. 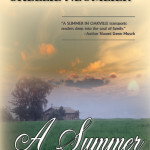 A Summer in Oakville is an interesting look into four people’s lives one summer. I enjoyed each person’s point of view and their stories. 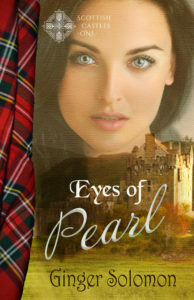 It was well-written and allowed me to take part in each person’s feelings and actions. Unfortunately, I found it a little disconnected in one particular scene. It was not a big deal, just set my brain to thinking (which is not necessarily a bad thing). Since I know there were two writers in this work, I am surprised there was only one mistake obvious enough for me to catch. It is so awesome that they worked together to make this such a good book. 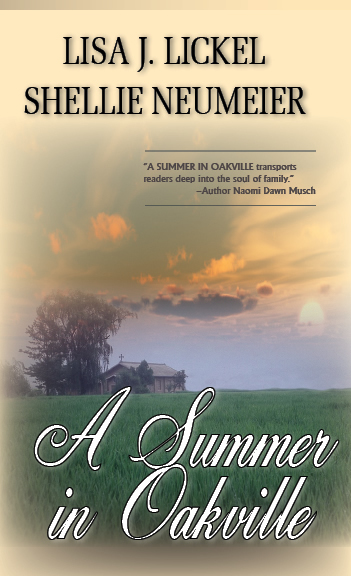 Despite my uncanny knack for ferreting out useless tidbits that are inconsistent, I found A Summer in Oakville an entertaining read. It will make you smile and, if you’re given to sympathizing with the characters as I am, you will cry. I think that’s what a good book does. It gets you to “feel” what the character feels and pulls you in to his or her life. By clicking below to order this book, you will be supporting this blog. Thank you to Lisa Lickel for the preview copy of this book. I received no compensation for this review and it is my honest opinion.